Sedation Dentistry is a term used to describe the use of medication on a patient during a dental treatment. This medication is used to help your child enter a highly relaxed state during treatment, providing a more positive dental care experience. We want your child to feel safe and comfortable throughout their treatment and sedation dentistry can help achieve that. 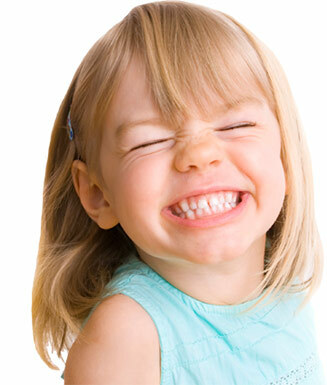 Sedation dentistry provides a gentle, soothing experience that can help your child overcome dental anxiety. Sedation allows your child’s body to relax more completely, increasing the effectiveness of local anesthesia. Sedation reduces the sensation of passing time, which can be very useful if your child needs a complex procedure or multiple procedures done in a single sitting. Sedation’s relaxing effects also prevent your child’s muscles from stiffening or becoming sore due to spending extended periods of time in one position. Sedation can be an excellent resource for some special needs children, who may have difficulty sitting still for dental treatment. At Midlothian Children’s Dentistry, Dr. Patel ensures the best fit for each patient by offering three different types of Sedation Dentistry: Nitrous Oxide, Oral Sedation, and General Anesthesia. In each case, your child’s sedation will be closely monitored by expertly trained and experienced dental professionals to ensure their safety and comfort at all times. Nitrous Oxide, also commonly known as laughing gas, is the mildest form of dental sedation. It is given through a small breathing mask placed over your child’s nose. The American Academy of Pediatric Dentistry has determined Nitrous Oxide to be a save and effective way to treat children’s dental needs. It is mild, odorless, easily titrated, and reversible. Once inhaled, it induces a state of mild relaxation and reduces sensitivity to pain. Nitrous Oxide is safe for virtually every patient, regardless of age. The level of sedation can be adjusted easily and takes only 2-3 minutes to reach full effect. Following the procedure, oxygen will be used to neutralize the effects of the nitrous oxide, returning your child to a fully alert state. Oral Sedation provides a stronger level of sedation than Nitrous Oxide. This form is most effective with moderately anxious children older than 4 years. Oral sedation uses medications to assist your child in coping with anxiety and relaxing for better cooperation with treatment. Your child will still be able to stand, walk, and answer questions, but will remain in a calm and drowsy state throughout the procedure. With sedation, many patients have found they have little memory of the procedure after the fact. For children with dental anxiety, this can be a great benefit. General Anesthesia is the same technique used in hospitals when sedation is needed. This form requires a medical anesthesiologist and is done in a hospital setting, and may be recommended in certain cases where full sedation is preferred. With general anesthesia, your child will be fully asleep during treatment and will be drowsy and require close monitoring for the remainder of the day. General anesthesia is highly recommended for extremely anxious children, very young children, medically compromised children, and children with special needs who are unlikely to respond well to mild or moderate oral sedation alone. General anesthesia allows your child to sleep through the treatment so they will feel no discomfort or anxiety. The treatment will not begin until your child is fully asleep. Dental treatment under general anesthesia makes use of similar medications to those used for children having tonsils removed or ear tubes placed at the hospital. Whichever option you prefer, we are happy to help ensure your child’s positive dental experience. We will gladly work with you to determine whether Sedation Dentistry is right for your child’s needs and to help you decide which type is best for your child. Call us for more information or to schedule a consultation with Dr. Patel. With any form of Sedation Dentistry, please be prepared to keep your child home and appropriately supervised for the remainder of the day. Your child should be fully functional within 24 hours following the treatment. Your child may have little or no memory of the treatment due to the amnesia-like effects of the sedative. We will provide additional information and instructions at your child’s appointment. For more information, to discuss questions or concerns, or to schedule a consultation with Dr. Patel, call Midlothian Children’s Dentistry today.